Intrigued by the myriad tones and shades of color and how artists achieve them? This three week course will inform you about color theory (the color wheel) and color practice (mixing artists pigments to create harmonious color compositions). A 15€ supply fee is included with the price of this class. Interested in exploring the Louvre with a sketchbook, away from the crowds? This class meets in the evening in some lesser known corners of the museum. Participants will provide their own pencil, pen and sketchbook. The cost of this course does not include the 15€ entry fee. Class number is limited to 6. Class will meet at a nearby café (location to be announced 24 hours before class meeting) for an overview of the salon. After viewing the salon together, group members will return to the café for a closing discussion. A tour with an artist for artists and non-artists alike, looking at techniques, subjects, and ideas in contemporary drawing. The fee for this class does not include the 16€ entrance fee to the salon. These studio classes will examine contemporary approaches to drawing such as those on display at the Paris Now Contemporary Drawing Salon (an optional group visit is proposed on March 22). Included will be pen and ink abstract drawing and collage combined with pencil renderings of subjects borrowed from nature or popular culture. A 10€ supply fee is included in the price of the class. Tuesdays March 27, April 3 and April 10 from 2:00 pm to 4:30 pm | 150€. Would you like to learn how artists use these two mediums, transparent and opaque watercolor, to make color studies from nature and explore color ideas for paintings? This class will take you through the basics and suggest both traditional and contemporary ways of applying them. A 15€ supply fee is included in the price for this class. Curious about this modern and extremely versatile painting technique? Receive inspiration, technical instruction and guidance to complete a small painting on canvas during this three week session. A 20€ supply fee is included in the price of this course. Interested in a contemporary approach to painting? This class provides instruction on how to combine drawing media and collage with acrylic paints on paper, and explores how contemporary artists use multiple small sized works to create a larger whole. A 20€ supply fee is included in the price of this course. Curious to try your hand at drawing? Or, have you thought you’d like to pick up a pencil or pen again but need a gentle push to get started? This class will introduce or review drawing basics like drawing in perspective, proportion, and light and shade. Plus this class prepares you for our evening sketch class at the Orsay Museum or our outdoor fair weather sketching class in June. A 10€ supply fee is included in the price of the class. Have you seen artists and students sketching in the Orsay Museum and thought you’d like to join them? This is your opportunity to experience viewing the museum and its collection through an artist’s eye. Participants provide their own pencil, pen and sketchbook. The price of the class does not include the 12€ museum entry fee. Class number limited to 6. Enjoy sightseeing with a group while you create a Paris travel journal in the form of a sketchbook with your own notes, drawings, and collage. Meeting sites include outdoor locations or cafés depending on weather conditions. Locations will be confirmed 24 hours in advance. Students provide their own sketchbook and drawing materials. A suggested materials list will be sent upon registration. Contact artatelierparis@gmail.com or visit the WICE website (Women’s Institute of Continuing Education) for details. A drawing class without stress, only engaging activities for beginners and more advanced students. Plenty of freedom to explore combined with knowledeable, practical instruction. Color through Painting_Tuesday afternoons_January 12, 19, 26 and February 2, 9, 16_ from 14h00 to 16h30. Color studies from nature and examples of paintings both traditional and contemporary. Watercolor and acrylic mediums (acrylic paints provided) on paper and on canvas. Cost: 240 euros for the full series of 6 classes, or 48 euros per class pro-rata. 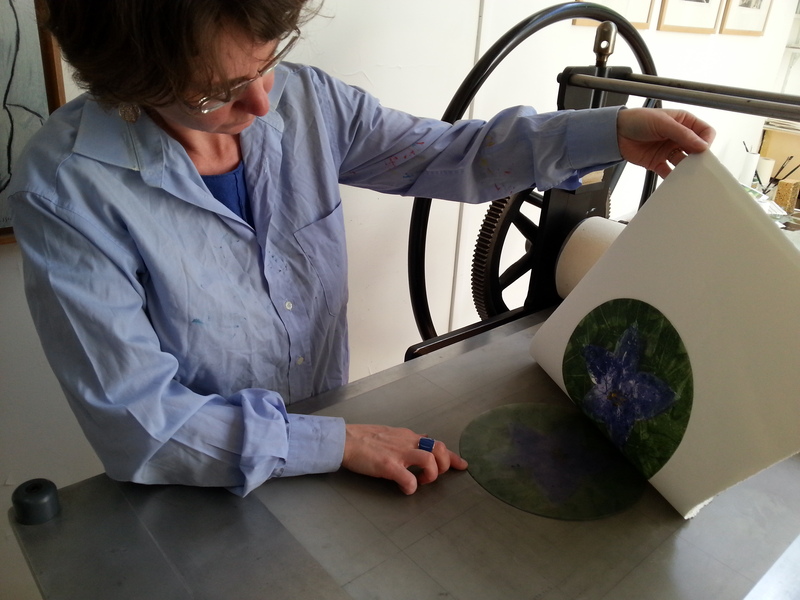 These are introductory workshops monotype printmaking that may be repeated. All levels welcome. Small group, maximum 6. Class meets at La Ruche, an historic artist’s colony in the 15th arrondissement. Hours: 11h00 and 16h00. Cost: 100 euros with all materials supplied. or submit your request using the contact form at the end of this posting. Beginners who would like to learn to draw, but find it hard to start. This class is suitable for all levels. Sketching paper and drawing ink are provided. A supply list and addresses of Paris art supply stores will be provided at the first class meeting. This class is suitable for all levels. Paints and paper are supplied. A list of other materials and the addresses of Paris art supply stores will be offered at the first class meeting. The image of the human face or body is a subject of universal appeal. Children take to it naturally, but for adults it can seem a daunting task. With instruction, time and practice, participants in this class will learn step-by-step how to approach this challenging and rewarding subject. This class is open to all levels. The cost of registration covers models’ fees and sketching paper. Museum tickets are not included. A materials list and addresses for Paris art supply stores will be provided at the first class meeting. 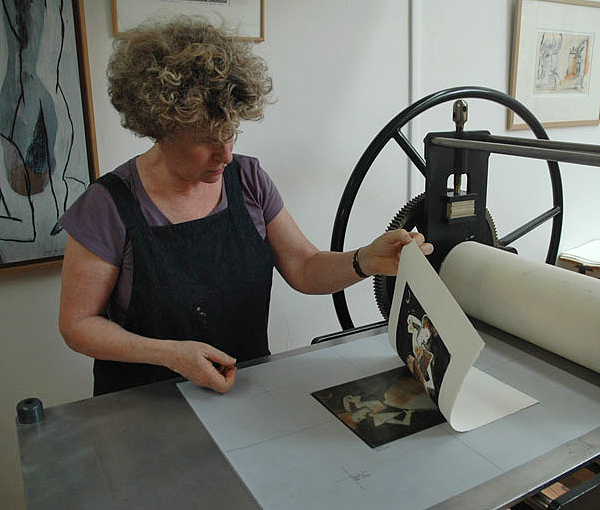 Learn the basics of printmaking through a simple and popular technique known as the “monotype”. Making a monotype print involves no toxic materials or laborious technique. As its name suggests a monotype is a one-of-a-kind print. 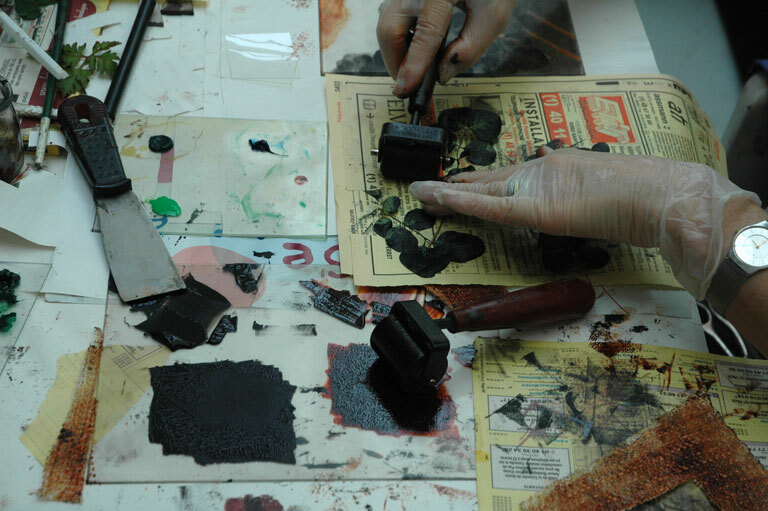 Rather than carving or etching, a monotype is made by painting with ink on a smooth surface. For prospective students who are unfamiliar with monotype prints, you can view a collection of student’s prints and images on this blog’s Monotype Printmaking page. No knowledge of drawing or painting is needed to enjoy its immediacy and rich textural effects. One can make a print in just a few minutes with almost no technical skill, and some techniques can be used at home. Those who enjoy sharing a creative activity with others. No prior experience is necessary. This class is open to all levels and may be repeated. Students will need to bring a cover-up and picnic lunch. Thank you. We hope you will visit again soon to see our new postings.